the Marconi Wireless Company of America was incorporated under laws of the State of New Jersey. On this day in 1899, singer/songwriter Hoagy (Hoagland Howard) Carmichael was born in Bloomington Indiana. Hits include Stardust, Lazybones, Two Sleepy People, Skylark, Georgia on My Mind, Ole Buttermilk Sky, Rockin’ Chair, [Up a] Lazy River, etc etc. He died Dec 27, 1981 after a heart attack. He was 82. 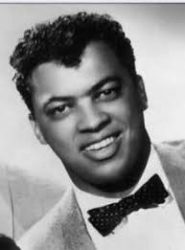 On this day in 1904, actor Roland Winters was born in Boston. He was the longtime radio announcer for John J Anthony’s Goodwill Hour. In TV he had recurring roles on the series Mama, Door With No Name & Green Acres, as well as dozens of guest spots. He died Oct. 22 1989 after a stroke, at age 84. On this day in 1906, actor & announcer Howard Petrie was born in Beverly Mass. He had many bigtime radio announcing assignments with Garry Moore, Jimmy Durante & Judy Canova, frequently taking part in the skits himself. In TV he had recurring acting assignments on Bat Masterson & The Edge of Night, plus scores of guest roles. Howard died March 24 1968 at just 61. On this day in 1910, organist Ethel Smith was born Ethel Goldsmith in Pittsburgh. Red-headed & dynamic, she was considered the first organist to achieve wide success as a pop organist, playing on radio from the early 30’s (Your Hit Parade in 1942), the movies in the 40’s, and TV in the 50’s. She died 10 May 1996 at age 85. Also this day in 1910, character actress Mary Jackson was born in Milford Michigan. She is best remembered as one of the delightfully eccentric bootlegging sisters, “Miss Emily” Baldwin, on The Waltons. But she did many guest spots on such TV shows as “The Andy Griffith Show,” “The Twilight Zone,” “My Three Sons,” “Hazel,” “The Mary Tyler Moore Show,” “Barnaby Jones” and “Highway to Heaven.” She died of Parkinson’s December 10 2005 at age 95. On this day in 1921, comedian Rodney Dangerfield was born Jacob Cohen on Long Island NY. He was one of the most welcome guests on the Dean Martin Show, thw Tonight Show, Ed Sullivan, and any number of televised roasts. He died at age 82 Oct 5, 2004, of complications from heart surgery. On this day in 1923, TV & film director Arthur Hiller was born in Edmonton. After serving in the airforce in WWII he joined the CBC in 1949 & directed live TV drama & public affairs before heading south. There he directed live TV (Playhouse 90) before turning to film. In addition to dozens of bigscreen credits, he has directed in excess of 300 TV shows, including “Naked City,” “Alfred Hitchcock Presents,” “Ben Casey,” “Route 66” and “Gunsmoke.” He died Aug. 17 2016 at age 92. On this day in 1924, a woman considered one of the best American actresses of all time, Geraldine Page was born in Kirksville Missouri. Although most of her career was spent on the New York stage, she had character roles in bigtime radio, and many guest spots on TV, including live drama on Playhouse 90, Studio One, Kraft TV Theatre & The US Steel Hour. She won both an Oscar & an Emmy, but ironically no Tony. She died at just 62 June 13, 1987, after a heart attack. 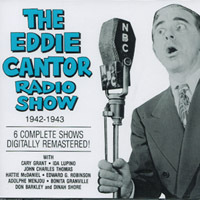 On this day in 1934, a song destined to become a seasonal classic, “Santa Claus Is Comin’ to Town” was aired on radio for the first time, on NBC’s Eddie Cantor Show. On this day in 1938, Bunny Berigan and his orchestra waxed Jelly Roll Blues on Victor Records. The tune became a standard for the band. On this day in 1955, RCA paid the unheard of sum of $25,000 to Sam Phillips of Memphis for the rights to the music of a truck driver from Tupelo, Mississippi: Elvis Presley. Thanks to negotiations with Elvis’ manager, Colonel Tom Parker, RCA tossed in a $5,000 bonus as well — for a pink Cadillac for Elvis’ mother. Also this day in 1955, a funny man most kids watched for part of their childhood in the early days of TV, Shemp Howard of the 3 Stooges, died at 60. 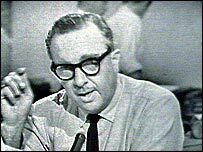 On this day in 1963, 55 years ago today, generations would recall watching CBS Television & Walter Cronkite reporting the assassination of President Kennedy. Many North American TV & radio stations suspended regular programming for much of the next four days. That same day in 1963, the Beatles released their 2nd album “With the Beatles” in the UK. On this day in 1964, the No. 1 Billboard Pop Hit was “Leader of the Pack” by The Shangri-Las. The group is made up of two sets of sisters from Queens, New York – Mary and Betty Weiss and twins Marge and Mary Ann Ganser. Also this day in 1967, Arlo Guthrie‘s 22-minute song “Alice’s Restaurant” was released. On this day in 1968, the first interracial kiss on American network television occurred in the “Star Trek” episode entitled “Plato’s Stepchildren,” when Captain Kirk (William Shatner) kissed Lieutenant Uhura (Nichelle Nichols). Some stations in the US South originally refused to air the episode. On this day in 1969, a picture of Johnny Cash appeared on the cover of LIFE magazine. On this day in 1971, the No. 1 Billboard Pop Hit was “Theme from `Shaft’,” by Isaac Hayes. The single was the third No. 1 hit to win an Academy Award for best song. On this day in 1975, the epic movie Dr. Zhivago played on TV for the first time. The 10-year old David Lean film, featuring the hit song Somewhere My Love, had earned $93 million from theatre patrons over ten years. NBC paid $4 million for the broadcast rights. Also this day in 1975, KC and the Sunshine Band started a two week run at No.1 on the Billboard singles chart with ‘That’s The Way (I Like It)’, the group’s second US No.1 of the year. On this day in 1976, British actor Rupert Davies, who brought “Maigret the Detective” to life on the BBC & PBS, died at just 59 due to cancer. 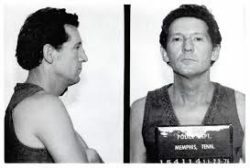 Also in 1976, rocker Jerry Lee Lewis was arrested for drunk driving after driving his Rolls Royce into a Memphis ditch. Later, at 3:00 AM, he appeared at Graceland, Elvis Presley’s residence, brandishing a pistol and demanding to see Elvis. He was handcuffed and taken to jail. On this day in 1977, singer Tony Orlando returned to performing after taking three months off following the suicide death of his good friend, Freddie Prinze. Orlando appeared in concert in San Carlos, California. On this day in 1979, Debby Boone‘s signature song, “You Light Up My Life” which had become the biggest selling single of the 1970’s, was certified Platinum. On this day in 1980, actress Mae West died at her Hollywood home at age 87 following a stroke. Famous for her double-entendres she had a sensational if brief radio career, appearing in two risque sketches on the Charlie McCarthy Show on a Sunday in Dec. 1937. The listening audience was so shocked that Ms. West did not appear again on radio for another 31 years. On this day in 1983, actor Michael Conrad (Sgt. Phil Esterhaus on TV’s Hill Street Blues) died of cancer at age 58. 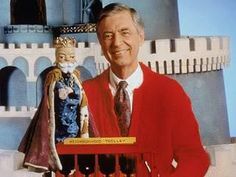 Fred Rogers of PBS’ Mr. Rogers’ Neighborhood presented a sweater, knitted by his mother, to the Smithsonian Institution as “a symbol of warmth, closeness and caring,” according to museum officials. On this day in 1986, the No. 1 Billboard Pop Hit was “Human” by the Human League. On this day in 1988, singer Janet Ertel of the Chordettes died of cancer at age 75. On this day in 1992, “60 Minutes” aired an interview with Woody Allen, who said Mia Farrow had threatened to have him killed after she learned he was having an affair with her 21-year-old adopted daughter. 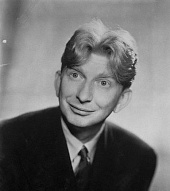 Also this day in 1992, actor Sterling Holloway died of cardiac arrest at age 87. Best remembered as the voice of Winnie the Pooh, he was featured in TV series Life of Riley, the Adventures of Rin Tin Tin, and Superman. On this day in 1993, five former security guards for Michael Jackson sued him, claiming they were fired because they knew of his alleged activities with young boys. A 13-year-old boy had also filed suit against Jackson, claiming the entertainer had sexually molested him. On this day in 1995, the CBC announced it was cutting 2,000 jobs to deal with a budget cut of $227 million. 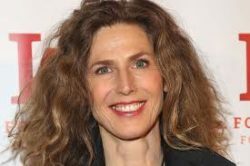 Also this day in 1995, singer Sophie B. Hawkins made her acting debut on Fox’s “Party Of Five”. On this day in 1997, Michael Hutchence, the lead singer of Australia’s premiere pop phenomenon, INXS, was found hanging in his fifth floor suite in Sydney, a suicide at age 37. On this day in 1998, CBS-TV’s “60 Minutes” aired footage of Jack Kevorkian adminstering lethal drugs during an assisted suicide of a terminally ill patient. Kevorkian was later sentenced to 25 years in prison for second-degree murder. On this day in 2001, jazz impresario Norman Granz died in Geneva, Switzerland of cancer complications at 83. Granz owned four labels — Clef, Norgran, Verve and Pablo — and recorded most of the major names in jazz, including Louis Armstrong, Count Basie, Ella Fitzgerald, Billie Holliday, Charlie Parker and Oscar Peterson. Granz was also credited with helping to ensure black performers received equal pay and the same dining and accommodations as whites. 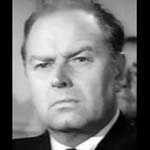 On this day in 2002, actor Parley Baer died at age 88 after a stroke. He was active in bigtime radio, playing Chester on Gunsmoke, and dozens of supporting roles on The Lux Radio Theater, Escape and Suspense. On TV he was seen in everything from The Andy Griffith Show to Star Trek: Voyager. Six decades of character roles in broadcasting. Also in 2002, the surviving members of The Doors, Ray Manzarek and Robby Krieger, announced they would record and tour again with a new line up including ex-Cult singer Ian Astbury and former Police drummer Stewart Copeland. On this day in 2004, Ozzy and Sharon Osbourne went on British television to plead for the return of items stolen the previous day from their English estate. Among the items stolen was Sharon’s wedding ring. The Osbournes offered nearly $190,000 for information that would convict the burglars. 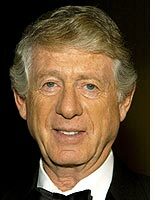 On this day in 2005, after 25 years Ted Koppel hosted his final edition of ABC News’ “Nightline.” It marked the end of his 42 years with the network. Also in 2005, the band Audioslave performed “Doesn’t Remind Me” as guests on NBC’s Tonight Show With Jay Leno. Still in 2005, 16 pages of poems written by Bob Dylan in his college days at the University of Minnesota sold for $78,000 at a New York City auction. On this day in 2006, Cape Breton-born musician John Allan Cameron, the so-called godfather of Celtic music in Canada, died at age 67, after a three-year battle with bone cancer. Also this day in 2009, Bruce Springsteen and the E Street Band wrapped up their two-year world tour in Buffalo, NY. For this show they played their ‘73 classic, “Greetings From Asbury Park.” It was the first-ever live performance of the entire album. On this day in 2010, 49-year-old rocker Vince Neil competed on ABC’s Skating With the Stars. Seems the Motley Crue frontman had skated competitively for two years in his pre-Crue days. On this day in 2011, veteran Victoria radio/TV newsman Andy Stephen died at age 84. Also in 2011, the lead anchor for 25 years at CNN Radio Stan Case was killed in a traffic accident in Birmingham Alabama, as he was driving to Oklahoma for Thanksgiving. He was 59. 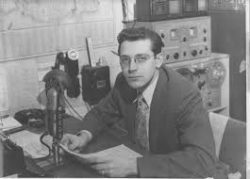 On this day in 2015, broadcaster Charlie Boone, whose 37-year partnership with Roger Erickson on WCCO produced one of Minneapolis radio’s most popular teams of the 1960s, ’70s, ’80s and 90’s, died at age 88 after a brief illness. Boone was a master of dialects and impressions which helped produce thousands of comedic skits. Also in 2015, singer Arthur Brooks, an original co-founder of the group The Impressions, died after a long illness at age 82. On this day in 2016, Bruce Springsteen was one of 21 recipients of the Presidential Medal of Freedom, the highest civilian honor in the US. Other honorees from show biz included Vin Scully, Tom Hanks, Robert de Niro, Diana Ross, Ellen deGeneres and Robert Redford. President Barack Obama officiated for his final time at the White House ceremony. Actor Michael Callan (Honeymoon Suite, Occasional Wife, Scruples) is 83. Actor Allen Garfield (The Lot, The Boys, Sins) is 79. Animator and movie director Terry Gilliam (Monty Python) is 78. Actor Tom Conti (Masterpiece Thtre) is 77. Singer Jesse Colin Young is 77. Rock musician-actor Steve Van Zandt (AKA Little Steven) (Sopranos) is 68. Rock musician Tina Weymouth (The Heads; Talking Heads; The Tom Tom Club) is 68. Rock musician Lawrence Gowan is 62. Actor Richard Kind (Spin City, Mad About You, Luck) is 62. Toronto-born actor/voicist Mackenzie Gray (Legion, Stargate Infinity, Ironman: Armored Adventures, Action Man, The Net) is 61. Actress Jamie Lee Curtis (Scream Queens, Anything But Love, Pigs Next Door) is 60. Rock singer Jason Ringenberg (Jason & the Scorchers) is 60. Actress Mariel Hemingway (Civil Wars, Central Park West) is 57. Actor Gary Valentine (The King of Queens, Fargo) is 57. Actor Winsor Harmon (The Bold and the Beautiful) is 55. Producer/actor Brian Robbins (One Tree Hill, Smallville, Head of the Class) is 55. Actor Khalil Kain (Girlfriends) is 54. Actor Mads Mikkelsen (Hannibal) is 53. Actress Kathrine Narducci (Power, The Sopranos) is 53. Actress Kristin Minter (ER) is 53. Actor Michael Kenneth Williams (Boardwalk Empire, The Wire) is 52. Actor Nicholas Rowe (The Crown) is 52. Rock musician Charlie Colin is 52. Actor Mark Ruffalo (The Beat) is 51. Actress Sidse Babett Knudsen (Westworld) is 50. Actor Stephen Lobo (Continuum, Arctic Air) is 45. Actor James Madio (Queens Supreme, Band of Brothers, USA High) is 43. Actor Josh Cooke (Hart of Dixie, Dexter) is 39. Actress Leeanna Walsman (Wentworth Prison) is 39. Actor Andrew Knott (Where the Heart Is) is 39. Actress Fiona Glascott (Indian Summers, Episodes) is 36. Actor Tyler Hilton (One Tree Hill, Extant) is 35. Actress Scarlett Johansson (Robot Chicken) is 34. Actor Jamie Campbell Bower (Camelot, The Prisoner) is 30. Vancouver-born actor Reece Thompson (Zixx: Level Two/Three) is 30. Singer Candice Glover (winner of American Idol 12) is 29. Actor Dacre Montgomery (Stranger Things) is 24. Actress Evie Thompson (Greetings from Home) is 23. Singer/dancer/actress Katherine McNamara (Shadowhunters: The Mortal Instruments) is 23. Actress Mackenzie Lintz (Under the Dome) is 22. Actress Madison Davenport (From Dusk to Dawn, Shameless) is 22. Actress Auli’I Cravalho (Rise) is 18. All My Rowdy Friends (Have Settled Down) – Hank Williams, Jr.